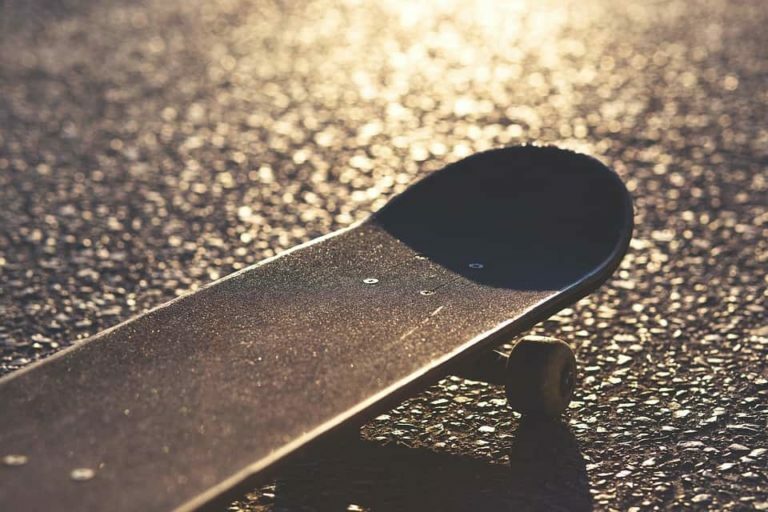 Skateboard bearings are an essential piece of kit for any skateboarder. They provide you with the forward motion you need to skate street, park or vert. Beginners often overlook bearings, but they are perhaps the most important part of a setup. You need the right and best skateboard bearings for your level of ability and your style of skating. What are the Best Skateboard Bearings? Which bearings should I buy? For example, if you are just starting skating, you don’t need the fastest bearings on the block. In fact, even the faster, but cheaper bearings like Bones Reds may be a bit crazy to start with. Instead, an ABEC 7 bearing is probably the best to start with. They allow your board to move but don’t give it enough speed to throw you off all the time. 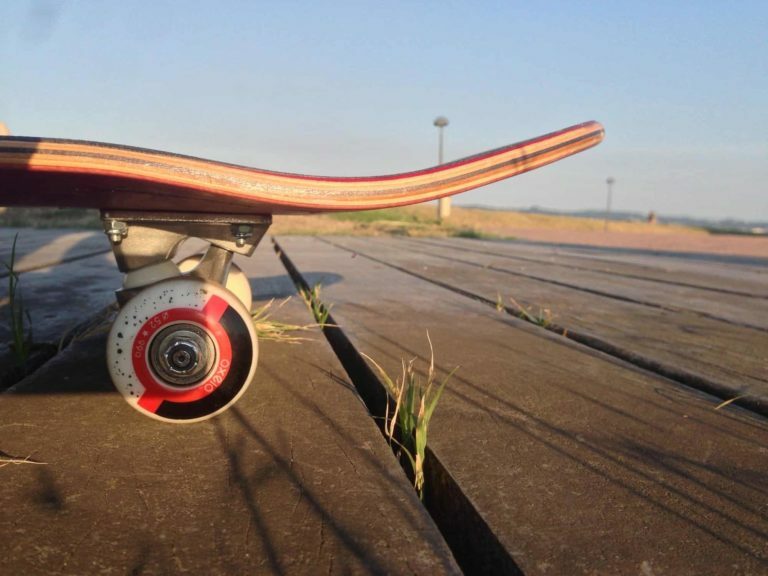 As you progress and get more comfortable on your board, you can start using faster bearings, but for now, use slightly slower bearings so that you can find your bearings. If you have been skating for a few years now and have good board control, there is no harm in stepping up your bearing game. However, approach really fast bearings with caution. Going from a slow bearing to an extremely quick one may not seem like a big deal until you step on your board. You may find that the faster bearings just throw you off the back of it and you’ve just paid a lot of money to hurt yourself. If you can, try and find someone with faster bearings and ask to have a go on their board. If they feel good, then go get some, if they don’t, wait a little longer and get more comfortable on your board then you’ll be ready to take on faster bearings in no time. Do you need bearings to skate? Yes, you do need bearings to skate. Bearings fit between your trucks and wheels and allow your wheels to roll. 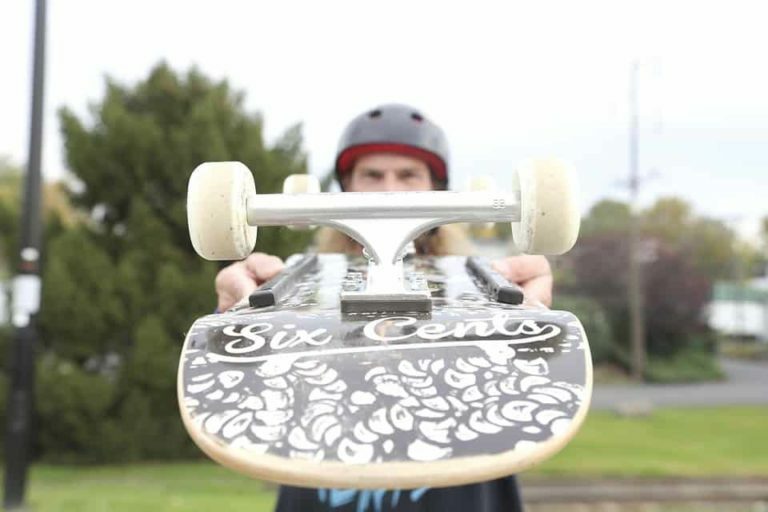 Without bearings, your board isn’t going to move very far. Having said that, some people have experimented with only using bearings and have done some impressive tricks without wheels. However, if you want to progress and learn tricks easily, use both! What is an ABEC rating? This is going to get all scientific! ABEC stands for Annular Bearing Engineers’ Committee. It is the American standard for rating the tolerance and accuracy of a bearing. So, basically the higher number, the better and precise the bearing is. Is an ABEC rating important? Well, yes and no, ABEC ratings are important, if a bearing is rated by the ABEC rating system. If you buy ABEC 3 bearings, they will not be as precise as ABEC 7 bearings. Now, you may think that a bearing being super precise isn’t too important, but if it isn’t exact, it won’t last as long. The better something like a bearing is made, the better the parts work with each other and so they last longer. So, yes in that respect, ABEC ratings are important. However, not all skateboard bearings use the ABEC rating. Bones, for example, have their own bearing rating that they use. So, just because Bones Reds do not have a bearing rating, it doesn’t mean they are worthless. In fact, they are far beyond worthless. Most brands that don’t have an ABEC rating developed their bearings with skateboarding in mind. We’re not saying that makes their bearings better, but they have huge respect in the skateboarding world because of it! Bearing care is something that you should do every few months or so, especially in winter. With all the crap on the ground throughout winter, your bearings won’t last that long if you don’t look after them. Bearing care is also important in the summer when there is loads of dust on the ground. If this dust and grit gets into your bearings, the parts will wear out quickly. You’ll need to take the bearing shields off to clean them if you can, some bearings don't have removable shields. The bearing shield is the part of the bearing that tends to be colorful, don’t take the other side off, that’s what holds the bearing together! Just grab a pin and get underneath the bearing shield and prise it off. Now, just spray some oil or Bones Speed Cream into the bearing and let that sit for a while. Then, grab a rag and wipe off the excess and the dirt. You can use weatherproof grease after this to prolong the life of your bearing further, but oil or Speed Cream works just as well and is more readily available. After that, pop your bearing shields back on, or leave them off if you choose and put your board back together. You are now ready for your next skate. So, now you know what an ABEC rating is and how to take care of your bearings, it’s time to take a look at the best bearings on the market right now. Some of the bearings below are classics used by professional and amateur skateboarders across the world. 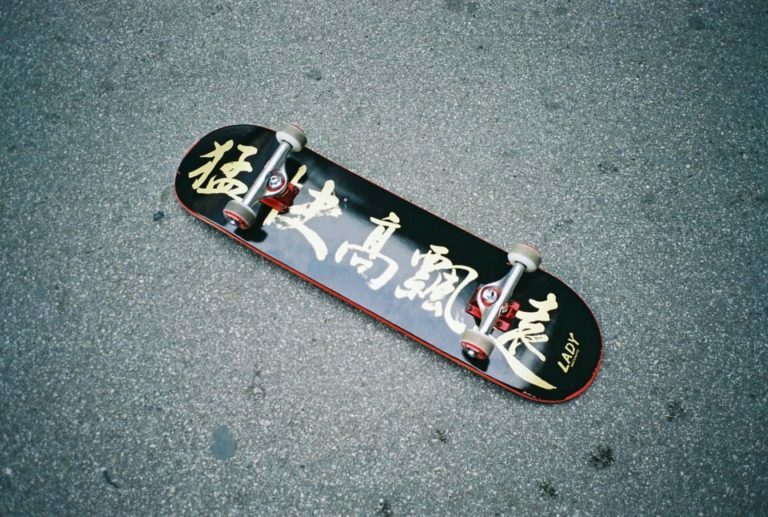 Others haven’t been around for so long but are making waves in the skateboarding world. These Speed Demon bearings are perfect for a beginner. They have an ABEC 7 rating, so they are middle of the road on the ABEC scale. This means that they aren't too fast so you won't fall off all the time, but not so slow that you will outgrow them anytime soon. Speed Demons has been around in the skate world for a long time and know how to make good quality bearings that last. If you are looking for your first set of bearings, these Speed Demon ABEC 7’s are the perfect set to go in your wheels. Globe is a powerhouse in the skate world, they make some lovely shoes and pretty much anything else to do with skating, including these bearings. These ABEC 7’s are great for people just starting out in the skate world. They provide you with enough speed to do tricks, but not so much that falling off all the time becomes your brand new trick. These may not be as long-lasting as some other bearings on this list, but if you’re looking for bearings to help you find your feet in skateboarding, they are great! Lucky bearings have been many people’s first set of bearings over the years and for good reason! They are inexpensive, offer a great amount of board control and a good amount of speed. Once again, these have an ABEC 7 rating, meaning they are middle of the road on the ABEC scale. However, there is nothing middle of the road about these bearings. They will last you a very long time, if you take care of them, and keep you landing tricks until you’re ready to step up your bearing game to an even faster set. If you want some bearings that last and are fast, grab yourself a set of these Lucky’s, you’ll have luck on your side for all those new tricks if you do! These Shake Junt bearings were created by a company made and run by skateboarders who know a lot about bearings and how they should ride. Because of this, the Triple OG’s are some of the best ABEC 7 bearings on the market. Shake Junt runs under the same umbrella as Baker and Deathwish, both renowned for producing excellentproducts. They know and care about the skate world and want to provide them with the best bang for their buck possible. Whether you are a fan of Baker Boys Distribution or not, you have to give them credit for making amazingly good skate products at prices affordable to us all! Usually, we only pick one product as our favorite. However, in testing, we couldn’t agree which one of the brands below was the best, so we had to pick both as our top picks. The bearings below are extremely good and will help you take your skating to the next level if you are struggling to find speed and maintain it. Bronson hasn’t been around for too long, but in their time, they have already changed the way the skate world thinks about bearings. They have developed bearings that are so superior to other brands, the pros have upped and left and move over to Bronson! That is how good these bearings are, they are phenomenal! These bearings are going to last you a very long time. Even without maintaining them, you’ll still get at least half a year out of these bad boys! If you look after them, you’re easily looking at a year plus of trouble free skating. Bones are the best selling bearing brand in the USA and probably around the world. Bones Reds are one of the cheapest bearings to offer a rubber shield, allowing you to remove it and clean them. This is huge! Not only are the bearings fantastic out of the box, but they can be maintained which means they will perform brilliantly for ages! Bones Reds do not have an ABEC rating. Instead, they are skate tested. So, if skaters have said they are good, then they must be good! These are extremely fast and do not take too long to wear in. For anyone looking to step their bearing game, speed up their tricks or just feel good on their board, Bones Reds are a must! You get a shiny sticker with them! Every so often you’ll get a set that may blow out quicker than normal, but they still last about six months to a year. We hope this look at skateboard bearings has been helpful. Now, go grab yourself a set, pop the shields off and ride 'em like you stole 'em! Also, check out the rest of the website for more skate product reviews and tests!